You have to be dedicated to want to see turtles on the island of Grenada. It’s not that they’re shy, but they don’t really come to the shoreline unless its breeding time, and they like to come at night when its safe. Heading to a protected area, our group sat on the beach in the moonlight, hoping for the creature to come from the sea. We sat for over an hour, and we were bored. Something, anything, needed to happen. And then it did – we were called to the other end of the beach, and there were two turtles high up on the beach, digging into the sand to lay their eggs. 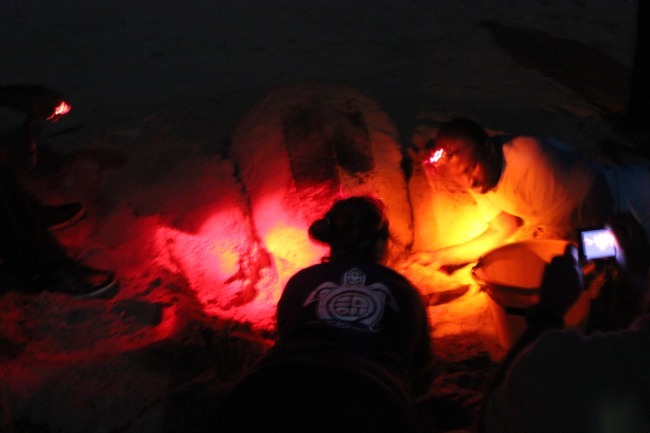 These magnificent female leatherback turtles had picked their spot, and had started laying their eggs. The local researchers were taking the eggs, moving them to a safer spot so that there would be a greater chance for the babies to hatch and survive. 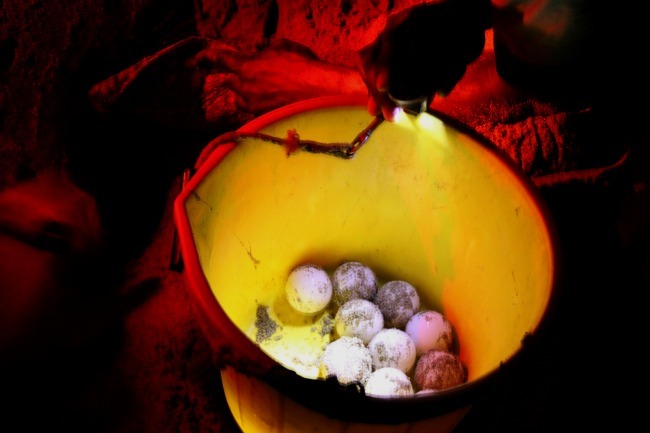 But the turtles didn’t care – they were focused on laying the eggs, a seemingly simple process, yet it took them several hours to complete their duties on shore. We stayed for two hours, observing and watching, before getting back on the bus. It was late and we may have been tired, but all we could talk about what what we saw.